Have you ever made music with simple stones, wood and metal ? Or do you think that’s "only” something to engage the young kids ? The way we create contemporary music has two main roots: one is the discovery of sounds of matter and nature in a perceptive and social way. The other is using very old and also selfmade instruments of World culture, wich can be played without any musical abilities. The knowledge of the peoples is still living in the sounds and construction of instruments and can be found as an expression of understanding of nature, spirit and everyday life. Sometimes its more rhythmically, with drums, body , hand and feet, with singing powerfull songs of the tribes, sometimes its more silently or meditative. As examples there are instruments like shellhorn, didjeridoo, bull-roarer, drums of many shapes, rainmaker, flutes, strings, soundbowls, lithophones… With monochord of Pythagoras we can follow the connection of music and mathematics, and in several scalas of flutes and strings can be listened and find principles of evolution of soul and consciousness of mankind. On the other hand the workshop offers to experience yourself and music as way to understand each other and have a lot of joy and peace. a free circle of chairs and for free movements, too. Some tables to put instruments. For making instruments needs a crafts room, there max. participants 12. The payment needs travel and accommodation expenses, and fee. The fee could be an hour fee or daily or weekly prize. It is individual to agree. A guideline could be 35-50 Euro/hr, 200 Euro/day or 700 Euro/week. Exceptions and reductions are possible. Hannes Heyne, founder of KlangHütte Dresden, was born in 1958 and grew up under conditions of communist Germany. After school he was engaged in ecology and studied hydrology, the science of water on earth. After 7-years working period on this field and contact to the IDRIART-impulse of Miha Pogacnik (meeting people through the arts) in 1986, he studied music in Hamburg, especially improvisation and making instruments. He developes methods of play, where music, senses education and ecology are connected with the art of communication and meeting people. Workshops took place in Romania, Estonia, Georgia, Armenia, Germany, Russia, Bosnia, Slovenia, Croatia, Mexico, USA, Italy, Poland Czechia, in schools for children, handicapped, teachers, parents, in environmental and musical Academies, with scientists, professional musicians, non-musicians, prisoners, on national and international festivals. There are project with other artists like architects, sculpturers, painters, and creating sound sculptures. Offeríng concerts, lectures, sound-travels. Hannes Heyne is a member of WAFE (world forum for acoustic ecology) and RING for group improvisation, Germany. Workshops of improvisation could be prepared for any purpose and group. Performances, objects and concerts offered by ordering. For well planning and sure agreements its necessary to plan half to one year in advance. Professional development, meeting new people and enjoying beautiful nature for music educationalists, music therapists and other people interested. 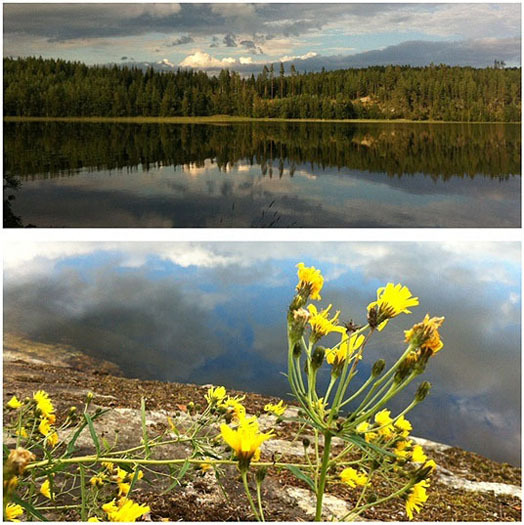 Sounding Nature is an international camp (languages: english/german/finnish) and professional training of music-and nature-experience in the midst of the Finland’s most beautiful lakeside area called Saimaa. The camp’s target group are people working in the field of music therapy and -education as well as others interested in the combination of nature and music. Students are as well welcome to participate the project. The project is organized by two professionals: Hannes Heyne is an innovative music educationalist and instrument-builder from Germany and has been working on the connection nature-music for decades also in an international context. He has also published a book „Känge aus der Natur“ (Sounds from Nature) which is essential for all interested in using creative methods of nature-connecting in the field of music education. He has founded „Klanghütte Dresden“ in Germany, more information about his versatile work can be found at www.klanghuette.de. Miina Virtanen is a music therapist, music educationalist and a nature-therapy coach. In her diploma-thesis at the University of Münster, Germany, she has created a concept combining music therapy and nature and has since also worked on her project NatureMusicFinland (www.naturemusicfinland.com) based on the thesis. During the Sounding Nature-camp Hannes Heyne and Miina Virtanen work together: before noon Hannes is going to guide you to special places in nature (also by a canoe/boat) and give a workshop on improvisation, communication and music-making on natural and world-culture instruments. In the afternoon after lunchtime Miina will organize a NatureMusicFinland-workshop where you get information about nature and its therapeutic effects as well as make nature-connecting and nature-therapeutic self-experience (combined with music if you wish) by yourself / with a pair / in a group. The accommodation is in a typical finnish summer cottage in simple but beautiful conditions. The cottage is located directly at a lakeside and it is also possible to have a sauna and to swim every day. There will be no single rooms available, though we keep silent time for sleeping after 11 p.m. If you like more privacy you can bring your own tent. The price for the program, accommodation and food is 590 Euro incl. fares and taxes. (All the ingredients of the food are included: we serve breakfast, lunch and coffee, evening-meal will be cooked in turns). If you are a full-time student you get a 20% reduction, if you have a very low income you can ask for a reduction as well). We accept maximum seven participants and the admission deadline is the 15th of April 2013, to ensure your place we recommend you to contact us already before. During the camp we’ll offer an interesting program and also a crucial part of the camp is to meet new people and spend a good time in a place of special natural beauty. After the camp we’ll provide you a diploma for the participation.